Coffee making is often seen as an art form. From percolators to drip makers, moka pots to French press, espresso to cappuccino machines, each and every one is engineered to give you a great tasting cup of coffee. Coffee makers in recent times have been getting smarter and smarter. 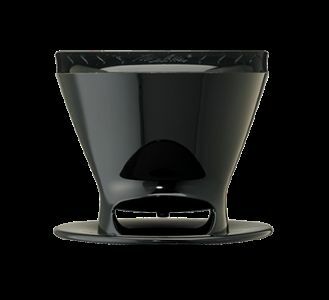 There are many available now that grind, dispense, fill, brew and drip the coffee into a cup or a carafe, and you don’t have to lift a finger. Just push a button and it is all done for you. They will all get you a cup of coffee, but you may be missing out on a little bit of flavor or body. That’s where the simplest tool like the Melitta Pour Over Coffee Maker can be exactly what you need. Sometimes low tech is the way to go. In truth, for a basic cup of joe all you really need are coffee grounds and hot water. Filter or strain out the grounds and enjoy. Anything else can be considered incidental to the process. That same principle applies to the Melitta Single Cup Pour Over Coffee Maker. All you need are the basics. Water, coffee grounds and a filter, and you’ll get some of the best tasting coffee you’ve ever had. It is low tech all the way but the taste is delightful. It even makes our list of best manual drip coffee makers. Amazon gives you several purchase options of the Melitta Pour Over. You can get just the one brewer cone to use over your own mug or carafe, or you can get an 8-pack of Melitta cones or a single cone in combination with a travel mug, ceramic mug or glass, porcelain or stainless steel carafe. The cone is available in black or red. There is no easier coffee maker on the market, period. It is incredibly simple to set up and use, just put the Melitta onto a cup or a mug of your choice, insert the filter, scoop in some grounds and pour the hot water over them. That’s it. The coffee infused water will slowly drain into the mug, and by regulating how many grounds you place in the filter basket, you can have as weak or as strong of a brew that you desire. You don’t even have to use hot water either, since cold water works just as well if you want a cold coffee. Takes #2 or #4 filters, available virtually anywhere home supplies are sold, like on Amazon. The bottom rim fits over most standard coffee glasses, mugs or cups. Add as much or as little water as you desire. There is an open window just above the bottom rim of the cone so you can see just how much coffee is pouring into the mug. This way there’s no danger of overfilling it. Make the brew stronger or weaker by adding or subtracting grounds. Large side handle to pick it up and move it around. Throw away the paper filter and rinse the Melitta clean, or use a permanent filter, rinse and reuse. Although you can add coffee into the filter cone, pour over the water and begin drinking fresh coffee as soon as it is finished, for maximum coffee flavor and enjoyment, try this. First, thoroughly rinse the filter to get rid of any paper-taste residue. This is especially important if you are using bleached white filters. If you are using a permanent, skip this step. Use boiling water for best extraction of flavor. Once the grounds are inside of the filter, dribble some of the water over the grounds and saturate them fully. This is called “blooming the grounds.” The blooming action causes the dried grounds to soak up water, thereby expanding. This expansion of the grounds increases their surface area so that there is more interaction between the grounds and the water. A larger surface area means that more of the coffee flavor can be extracted during the pour, and this makes for a superior cup of coffee every time. Ideally, allow the blooming process to last between 30 to 90 seconds. The longer the time blooming, the more flavorful the coffee will be. Finish off the brewing process by pouring the remaining water through the grounds. Simple to use and virtually anyone can make a cup of coffee as long as there are grounds, a filter and water. It is small enough to fit in most drawers or cubbies. This is the most basic way to make coffee, and some maintain that it is the best coffee you can drink. It uses inexpensive filters, and for even more savings, get a permanent filter. You can make coffee virtually anywhere since you don’t need electricity. It’s great for camping, hunting lodges, road trips, picnics, boating and you name it. Bring hot water in a thermos or heat water over a campfire. Cold water works too. You will always need a filter for the basket, or the process won’t work correctly. It won’t work on very large or very small rimmed cups. Because the water runs through the grounds without stopping, you are going to use more grounds for a cup of coffee than you normally would to get the same flavor. However, you can generally get two cups out of one filling of coffee grounds. We demo the Melitta Pour Over Coffee Brewer for you! In truth, everyone should have at least one of these around the house, in a camping box or RV, at the cabin in the woods or if you just want a unique and different way to enjoy a cup of coffee. These are great to have during a power outage. Just add water and grounds, and you’ll still be able to have a terrific cup of joe even if there is no electricity. They are very inexpensive, incredibly portable and they should last a lifetime with regular use. No home of a coffee lover should be without one, and if you even use it just as a change of pace from your usual drip or percolator, it’s still worth the cost just for that reason alone.